All are welcome from beginners to experienced riders. A unique cruise on Loch Tay Kenmore exploring the history, heritage and folklore of Perthshire largestloch. Modern custom-built boat is comfortable, fast, dry. Chesthill provides a full range of traditional sporting activity in season. The Watermill is a unique development, bringing together the largest bookshop in the rural Highlands, contemporary art gallery, music and coffee shop. Karelia House, Scotland's premier craft destination, is set in stunning Highland Perthshire on the banks of the rivers Tay and Lyon. The Birks Cinema in Aberfeldy, Perthshire, is a single screen cinema, conference and events venue, with bar and restaurant ideal for lunch and evening meals. Welcome to the website of Pitlochry Festival Theatre. Make sure you experience this unique theatricalphenomenon in the Highland heart of Scotland in 2018. 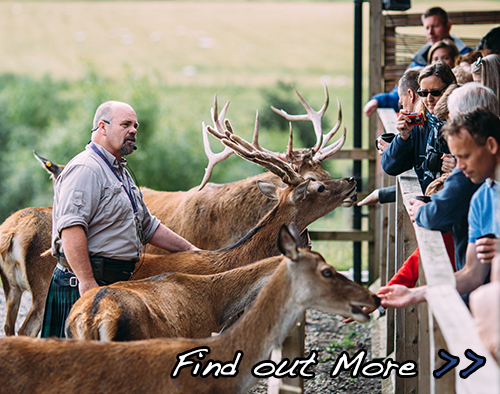 Perthshire straddles the Highlands and the Lowlands, offering a rich variety of scenery. Highland Perthshire is magnificently forested and the region has become branded as 'Big Tree Country' - a name well deserved. This area offers the widest choice: sumptuous castles; great gardens; Scotland’s oldest distillery and only house on stilts. Explore the hills of Perthshire, heart of mainland Scotland, to see arctic-alpine plants, mountain butterflies and moorland birds. Walk scenic glens and tree-fringed lochs and rivers to savour the varied fauna of oak and pinewoods. With superb links courses as well as a wealth of heathland and parkland venues, Perthshire & Angus offers some of the best golf in Britain. Pitlochry is the largest town in Highland Perthshire and the tourist hub for this area of Scotland, it has a long established reputation as a tourist destination built up from the time of the railway arriving 150 years ago. Enter your email below to join our mailing list & receive our latest offers direct to your inbox. 2018 © . All Rights Reserved.